Easter is coming up and so that means new Easter flyers for GHCC. I found this image of a tomb, where the viewer is looking out into the sunlight. 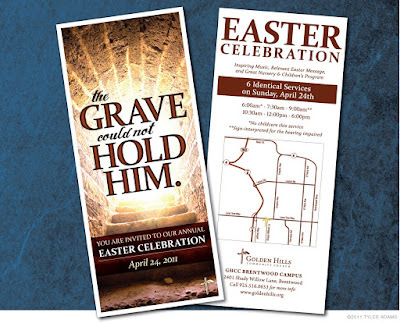 I thought the image was perfect for Easter and so I have been saving it to use for this flyer.